Whenever I start to feel the "winter blues" coming on, I turn to the one thing that can instantly make everything better, Lilly! There is no better way to cheer up a cold dreary day, then to add a little color to it! 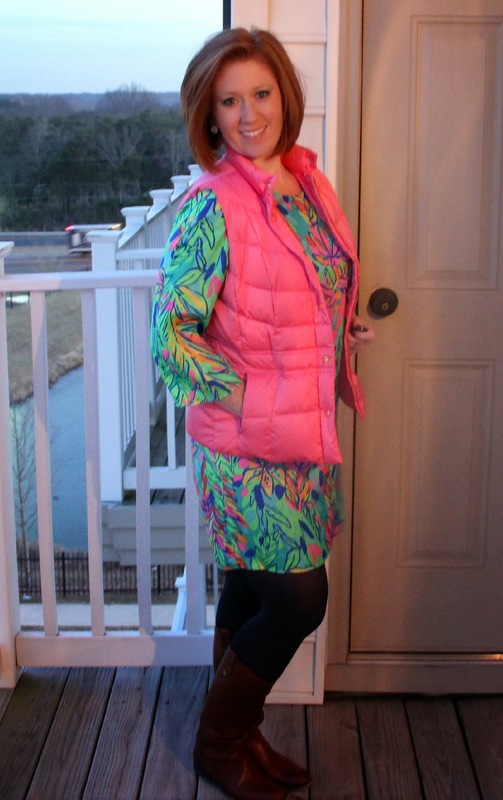 I'm always looking for a way to style my otherwise summer dresses into more winter friendly outfits, so when the Lilly Pulitzer After Party Sale had this gem of a dress for just $49, I just had to have it. Even though the material is lightweight, the 3/4 sleeve allows it to transition into the fall and winter. Simply add some tights, boots and of course this perfectly pink puffer vest and suddenly you are set for whatever winter brings. Sure, you'll stand out in a crowd, but it's so worth it! 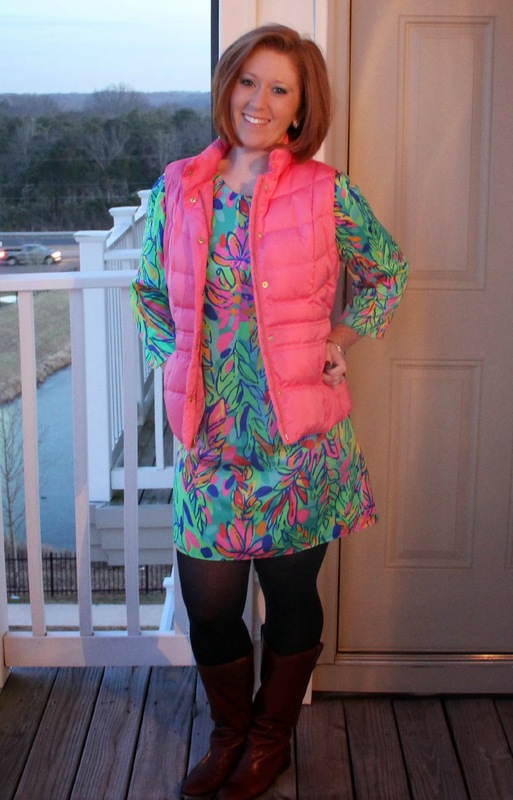 Linking up with Lindsey @ The Pleated Poppy! Stopping by from the link up! :) I love all of the Lilly! I have the LP vest in black, such a nice fit.